Was the 2016 Budget a disaster for buy-to-let investors? Or is there still some traction in the industry? Recently, George Osborne announced his 2016 Budget, and it’s safe to say that buy-to-let investors were once again disappointed with its ramifications. It was announced that capital gains on buy-to-let will still be taxed at 28%, and an additional 3% Stamp Duty Land Tax (SDLT) will be levied on purchases of additional properties. The higher rate of Stamp Duty Land Tax will also apply to companies that buy residential property. The 3% rise in Stamp Duty came into place on the 1st April 2016 and applies to those purchasing additional properties in England, Wales and Northern Ireland. The majority of transactions where people are buying their first home or moving house, are unaffected. Why is the government taking measures against buy-to-let investors? 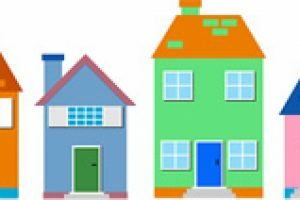 At the Spending Review and Autumn Statement 2015 a Five Point Plan for housing was announced with the aim to further support first time buyers and low-cost home ownership. The Five Point Plan was meant to help towards achieving the government’s overall vision to encourage aspirations of home ownership. • Deliver 400,000 affordable housing starts by 2020-21. • Extend Right to Buy to Housing Association tenants. • Charge higher rates of Stamp Duty Land Tax on purchases of additional homes, including buy-to-let properties and second homes. • Create a London Help-to-Buy scheme, offering a 40% equity loan. 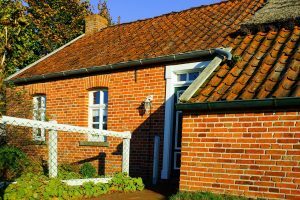 The government will use a proportion of the additional revenue raised through the Stamp Duty Land Tax to invest £60 million into communities in England where the impact of second homes is particularly pronounced. The money raised will also go towards doubling the affordable housing budget. How have investors reacted to the 2016 Budget? Landlords and the property industry alike have reacted negatively towards the Budget, viewing it as a direct attack on the sector. Landlords who own more than fifteen properties were hoping the 3% Stamp Duty surcharge would bypass them, however they were misguided and George Osborne announced that the levy would be applicable to buyers of all additional homes. The rise in Stamp Duty Land Tax meant investors were scrambling to buy property before the changes came into effect on 1st April 2016. Since the beginning of the year, house prices have surged due to buy-to-let investors anticipating measures to penalise the sector. In the year to January house prices jumped by 7.9%. The increase was especially prevalent in England where house prices rose by 8.6%, mainly driven by property in London, the South East and East of England. Is now still a good time to invest in buy-to-let property? It is no surprise that buy-to-let investors were desperate to purchase property before the increase in Stamp Duty came into effect on 1st April 2016. But those who were not so quick off the mark needn’t worry too much. Although the Budget has done nothing to strengthen the position of buy-to-let investors, the overall environment in the UK is still good for those looking to make good returns on their investments. Interest rates are at a historic low, and the Bank of England has stated that it does not intend to raise them until at least 2018. Additionally, the number of mortgages being granted is at an all-time high, so now is the perfect time to apply if one is required to purchase a buy-to-let property. In fact, at the moment investors are more likely to make a return on property compared to investing in shares or saving the money because as mentioned previously, interest levels are at rock bottom and share prices are falling. “The 2016 Budget did nothing to ease pressure on buy-to-let investors, but the conditions are still good to invest in property.” Says Investment Director Arran Kerkvliet, of award winning student property consultancy One Touch Property. 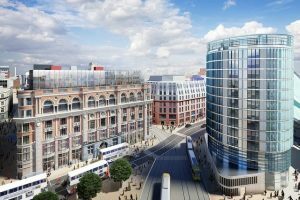 “Liverpool has recently been named as one of the best buy-to-let hotspots in the UK due to its increasing student population and recent and upcoming regeneration schemes. Student property investments such as Pembroke Studios in Liverpool guarantee a net rental income of 8% for five years. As we mentioned earlier, Liverpool is fast becoming an extremely popular city for buy-to-let investment. Liverpool’s domestic and international student population is increasing at a rapid rate. 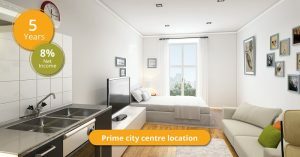 The University of Liverpool, Liverpool John Moores University and Liverpool Hope University have a combined student population of 70,000, all vying for high quality student accommodation close to their chosen university and local amenities. Not only is there an enormous student population, but six in ten students go on to work in the city, boosting demand for rental property even higher. One Touch Property has also published a guide into the best places in the UK to invest in property. 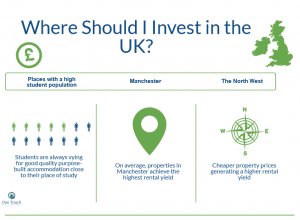 The North West is the best area to invest to achieve high rental yields, and the average rental yield in Liverpool is 5.16%. The L1 postcode has come out on top of various studies as the most up-and-coming area in terms of house price growth. Properties in the area rose by 41% in the past year alone and growth is not expected to slow. Liverpool has recently been subject to numerous regeneration schemes and several are still planned that will surely elevate interest in the area. One project that has recently been approved is the upgrade work to Liverpool Lime Street that will see two additional platforms and the completion of the final phase of the Merseyside loop. In conclusion, although the 2016 Budget certainly did nothing to ease the tensions of buy-to-let landlords or encourage people to invest in property, it’s still a good environment overall to invest in the property market. Investors probably aren’t generating very much revenue on their money that’s just sitting in a savings account. So why aren’t they investing it in property which brings immediate income? How to Compare Student Property Investment Opportunities?